George Iechika-McKinney is a Los Angeles activist. For weeks, student leaders have been debating whether the ASSU Senate should have the right to pass a bill opposing U.S. policy in the Persian Gulf. Now, on a Bay Area visit, the board of the United States Student Association — an organization of student governments to which the ASSU belongs — has passed a resolution even stronger than the Nov. 14 ASSU bill opposing an unprovoked non-U. N.sponsored Gulf military offensive. Meeting in San Francisco for their quarterly board meeting, the association voted 19-8 Saturday night to "condemn the actions of the United States government." According to George McKinney, one of three Stanford students who attended the meeting, the resolution took a "student's perspective" on Persian Gulfpolicy. McKinney, a sophomore who recently resigned as deputy chair of the ASSU Senate, said the bill mentioned the fact that students are already serving in the Gulf, that the expected loss of life in a war is greater than that of the Vietnam War and that money for education is constantly being cut. The resolution goes on to denounce the U.S. government "for its offensive position" and to demand that "President Bush reconsider his stance on this most explosive issue." The bill also decries the letter Bush wrote last week to college students asking for their support. The President's letter ran Friday in The Daily. Finally, the bill condemns "the use of the draft, which overwhelmingly negatively impacts upon lower economic classes." According to Valerie Mih, a junior who attended the meeting as an observer, the board was unanimously opposed to a Gulf war. "I think that everyone wanted to pass a resolution," she said. "I don't think anyone was in favor of war." Along with McKinney and Valerie Mih, ASSU senator Naomi Onaga, a senior, attended the meeting and joined McKinney in voting for the resolution. George Kinney, Stanford appeared on an early '90s mailing list of activists in the Bay Area, sent to Freedom Road Socialist Organization member Mike Conan. Several of those listed were known Freedom Road Socialist Organization or Socialist Organizing Network members . 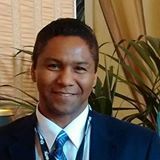 API FORCE was founded in January 1995 through the leadership of George Iechika-McKinney, Eric Mar, Dan Nishijima, and Rhonda Ramirez. Later, George Iechika-McKinney, Jung Hee Choi, Sun Lee, Rand Quinn, and Sinai Tongol sat on the Leadership Council. In March 2000, Azine published "Radical Resistance in Conservative Times: New Asian American Organizations" in the 1990s by Diane Fujino and Kye Leung. Five groups were profiled: Asians and Pacific Islanders for Community Empowerment, ASIAN!, ACTION, Asian Left Forum, and the Asian Revolutionary Circle. We are grateful to the following people for providing interviews, information, and materials about their organizations: Betty Chan, Caroline Choi, Sumaya Dinglasan, George Iechika-McKinney, Don Kim, Nadia Kim, Soudary Kittivong, Sun Lee, Meizhu Lui, Daniel Magpali, Mo Nishida, Robyn Rodriguez, Jee Ryu, Eric Tang, and Ryan Yokota. Eric Mar, May 1, 1998. 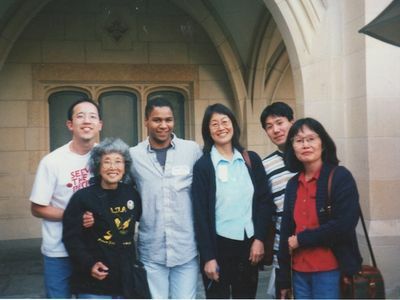 More on the history of the AA Movement group - http://apimovement.com/history/radical-resistance-conservative-times-new-asian-american-organizations-1 — with Emily P. Lawsin, Kathy Masaoka, Mark Masaoka, Glenn Omatsu, George McKinney, D Rikio Mooko, Ryan Suda, Kim Geron, SunHyung Lee, Kye Liang, Scott Kurashige and Michael Liu at UCLA Asian American Studies Center. The second national meeting of Asian Left Forum was held at USC Berkeley in February 2000. Attendees include local activists Shin Li Tsai and George Iechika-McKinney‎. In the early 2000s George Iechika-McKinney wrote several articles for Freedom Road Socialist Organization/FightBack! journal Fight Back!. George Iechika-McKinney interviewed Yvonne De Los Santos for the February 1, 2000 issue of Fight Back! For an update on the struggle, Fight Back! talked with Yvonne De Los Santos, who spent nearly two years organizing home care workers in California. She is an East Los Angeles community organizer, a veteran in the struggle for Chicano national liberation, and a member of the New Raza Left. Sun Hyung Lee and George Iechika-McKinney contributed an article on San Francisco mayoral politics Vol 3, No 1, 2000 Fightback News, newspaper of the Freedom Road Socialist Organization/FightBack!. This page was last modified on 25 September 2018, at 01:10.